A facial massage is a popular Western beauty treatment that, when done right, can slow down the aging process and achieve younger looking and healthier skin. A facial massage can also relieve other health concerns such as stress, headaches, premenstrual syndrome (PMS), and sinus congestion. There are over 40 muscles in your face, capable of making the saddest and the happiest and all the in-between expressions humans make. Like any muscle, the more you work them, the more toned, tightened, and lifted they become. Normally, toned muscles are something most of us desire, especially on a white, sandy beach with a pina colada. However, when it comes to the face, this is something we don’t want–at least not permanently. We want supple, limber, and flexible facial muscles. Think yoga over bodybuilding. So do you need a facial massage? How can a facial massage benefit you? Tru Energy aims to answer these questions below. Stimulates collagen production. A facial massage increases blood flow to the skin. Our heart, which pumps blood throughout our body, is in the relative center of our body. Thus, those organs in the center of our body gets blood the quickest, the easiest, the most efficiently, and the most effectively. As you go further and further away from the center of the body, it’s harder to get blood to flow there and your heart has to work harder to get blood there. As the outermost organ of your body, your skin is the last to receive blood and often times the blood it receives is less than other organs. This increased oxygen to the skin stimulates collagen production, the skin protein that is responsible for your skin’s structure and therefore youthfulness. Stimulates the removal of toxins. It’s our blood that removes toxins and waste from our body, including from the skin. Thus, the increased blood flow from a facial massage allows more blood to carry away more toxins, so these toxins don’t fester in our skin, causing long-term issues. Relaxes you. Lines and wrinkles especially are influenced by our facial expressions. If you are stressed out and tense, your face will reflect this. If you’re relaxed and happy, you’ll smile more and your skin is more free to not tighten up and have a smoother appearance. Brings oxygen to your skin. A facial massage is an all natural facelift. Oxygen plumps up your skin and gives it a natural glow. It’s a daily facial cleanser at its utmost! Increases absorption of natural skin products. A facial massage opens the pores a bit more and allows natural skin products to penetrate to the deeper layers of the skin. Try Tru Energy’s Intensely Anti-Aging Facial Serum, which contains an intense concentration of all-natural, active anti-aging ingredients to help nourish, hydrate, and restore your skin. Keep it short and simple. You don’t need much stimulation of the skin and you definitely don’t want to overdo it. Lengthy massages are more likely to stretch the facial muscles and irritate delicate facial tissue. Use the correct motions. Again, you don’t want to overdo and stress the tiny muscles in your face. You want to avoid stretching the skin, as this often defeats the purpose of plumping up the skin. 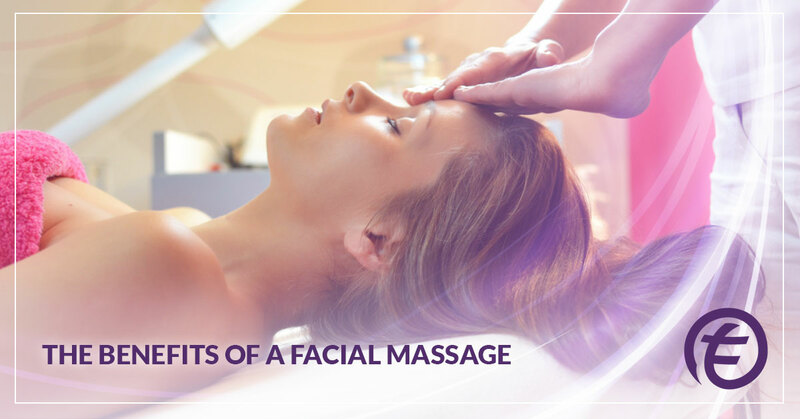 Short, circular motions and light pressure is best for facial massages. Moisturize afterwards. Using Tru Energy’s all natural skin products, add moisturizer to your face as soon as possible after your facial massage. You’ll want to maximize all of the amazing benefits we just enumerated above and replenish any moisture lost during the process. Our wonderful daily facial cleansers, Protective Therapeutic Daytime Treatment and Restorative Nourishing Overnight Treatment, will leave you feeling ready to conquer the world. Add in our revolutional Energy-Optimizing Wands afterwards and Great will be removed from Alexander’s title! Tru Energy cares about your health and wellness. We all feel better when we look better. When we look better, we are more apt to put ourselves out there, ask for the raise or promotion, ask for the first date, or apply for a small business loan that would finally make your dreams come true. Through using the body’s natural healing processes, Tru Energy’s natural skin products aim to bolster your skin’s abilities and give you the added boost you need to look and feel your best. Visit us online today to experience the Tru Energy difference!